Home / About Us / Travis C. Burns, M.D. 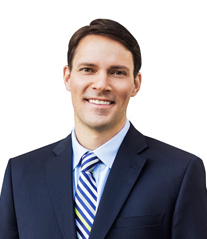 Dr. Burns is a board-certified orthopedic surgeon with subspecialty fellowship training in sports medicine. 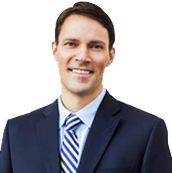 He specializes in shoulder replacement and arthroscopic surgeries of the shoulder, hip, and knee. Dr. Burns is active in treating athletes of all ages. He provides team coverage for local high schools and serves as a volunteer sports medicine physician for Team USA at the Olympic Training Center. Dr. Burns graduated from West Point and served as the men’s tennis team captain during his senior season. At West Point, he was elected to Phi Kappa Phi Honor Society, was a four-year letterman on the tennis team, was a National Academic All-American, and was awarded the Eastern College Athletic Conference Merit Medal for athletics and scholarship. Dr. Burns obtained his medical degree from University of Texas Health Science Center Houston, where he was elected to the prestigious Alpha Omega Alpha Medical Honor Society. After orthopedic surgery training, he completed subspecialty fellowship training in Orthopedic Sports Medicine at the John A. Feagin, Jr. Sports Medicine Fellowship. In 2014, he was then selected for the American Orthopaedic Society for Sports Medicine (AOSSM) traveling fellowship to South America. Dr. Burns served in the military as an orthopedic surgeon at San Antonio Military Medical Center. At SAMMC, he served as the Chief of Sports Medicine with a clinical focus on managing complex shoulder, hip, and knee injuries. During his time in the military, he had the opportunity to serve as a deployed orthopedic surgeon in Mosul, Iraq and Kabul, Afghanistan treating injured service members. In his medical career he has been active in research and academic medicine. He published over 35 peer-reviewed publications and co-authored 5 book chapters. He has been the site primary investigator on three nationally funded clinical trials evaluating new treatments of orthopedic injuries. In recognition of these academic contributions, he was awarded the American Academy of Orthopedic Surgeons (AAOS) Achievement Award in 2018. As medical technology and clinical literature grow rapidly, Dr. Burns enjoys a subspecialty practice that enables him to focus on specific procedures and pathways to optimize patient outcomes. This includes utilizing the newest innovations and technology; such as, less invasive shoulder replacements and computer assisted/navigated surgery. Outside of orthopedics, Dr. Burns spends time with his wife amid the chaos of their four young children.